Glass is the highly expected third and final movie in the American superhero thriller Eastrail 177 Trilogy written, produced and directed by M. Night Shyamalan. 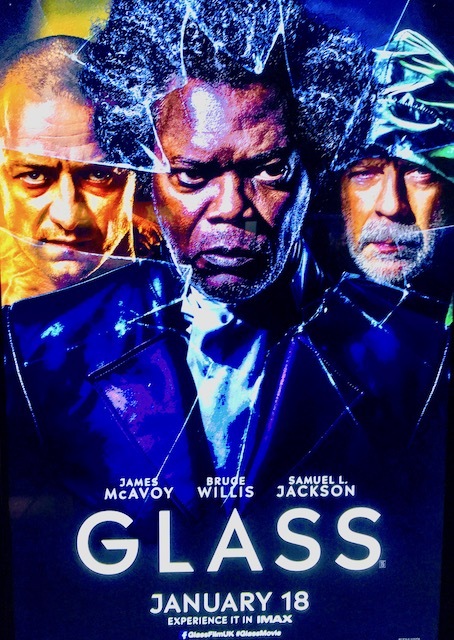 I wasn’t aware of Shyamalan’s previous films Unbreakable (2000) and Split (2016) until recently when I heard of Glass being released and invited to a preview screening. I caught up and watched them in a day-movie-marathon which was surprisingly compelling. I usually love comedies and rom-coms, kids’ films including superhero movies like the Avengers, so Shyamalan’s trilogy slipped from my radar because it is more a thriller than a superhero series. Anyhow, I loved Glass and, without spoiling it for you, I believe it ends how it should leaving it open for future films. Glass is released on 8 January 2019 by Universal Pictures and Walt Disney Studios Motion Pictures. From Unbreakable, Bruce Willis returns as David Dunn as does Samuel L. Jackson as Elijah Price, known also by his pseudonym Mr. Glass. 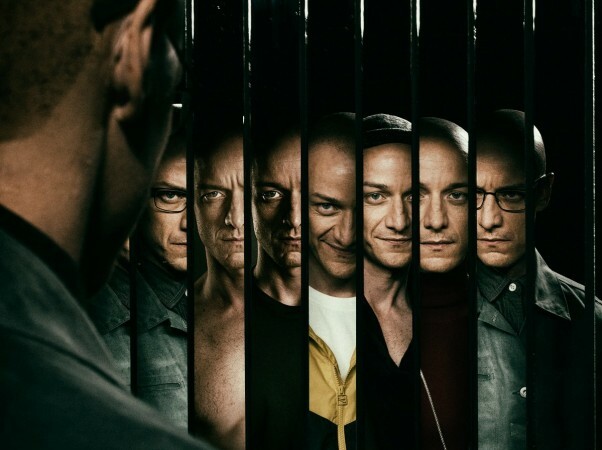 Joining from Split are James McAvoy, reprising his role as Kevin Wendell Crumb and the multiple identities who reside within. Following the conclusion of Split, Glass finds Dunn pursuing Crumb’s superhuman figure of The Beast in a series of escalating encounters, while the shadowy presence of Price emerges as an orchestrator who holds secrets critical to both men. I am not going to dwell on the story and I won’t reveal any spoilers because that would ruin your very first viewing. Bruce Willis, Samuel L. Jackson, Spencer Treat Clark, and Charlayne Woodard reprise their Unbreakable roles, while James McAvoy and Anya Taylor-Joy return as their Split characters, with Sarah Paulson, Adam David Thompson, and Luke Kirby joining the cast. With an all star cast like this including a cameo by director Shyamalan as a shop attendant, and a compelling storyline a film cannot go wrong, and it doesn’t. Just to give you a bit of a background on the trilogy, following the release of Unbreakable, there was interest in creating a sequel but Touchstone Pictures opted not to finance one at that time despite the film’s solid box office performance. Shyamalan set out on writing Split using a character he had written for Unbreakable but pulled from the script. He realised the opportunity he had to create a trilogy and adapted the ending of Split to establish the film within the Unbreakable narrative. When Split came out, it was marketed as a standalone movie with no connection to Unbreakable just to shock the audiences with the revelation in the diner scene at the end of Split. It was a genius move. It will make sense to those who haven’t seen the films once they watch them in succession. I am glad Glass has been produced because it reinvents the super-hero concept, creating super-humans who are more ‘realistically’ born from our ‘normal’ world rather than coming from other planets or universes (such as Superman and Thor). The performances and the entertainment value of this movie are incredibly high. I particularly enjoyed the performance of James McAvoy who plays 20 different characters (there would be 23 characters but we ‘only’ get to see 20 in Glass) switching effortlessly between different voices and emotions within seconds. I’d dare say that this is his best role (‘roles’) to date. I love Shyamalan’s use of the looking-into-the-camera method with characters constantly talking to the camera which instantly draws us in. I also enjoy all the symbolism and inversions as adopted by Shyamalan in his previous movies. He has a very unique and recognisable style that reminds me of Alfred Hitchcock’s psycho-thrillers. No matter what the official certificate says, parents should be aware that Glass is suitable for 15+. Younger children would find it disturbing for the psychological violence and the mental health issues tackled here. People will try to convince you that kids these days can watch this kind of movies without problems but in my view Glass as well as all the other movies in this trilogy are not for children at all. It is highly recommended for adults, though, provided you have watched the first two movies. This entry was posted on Thursday, January 17th, 2019 at 10:50 am and is filed under Movies. You can follow any responses to this entry through the RSS 2.0 feed. Both comments and pings are currently closed.